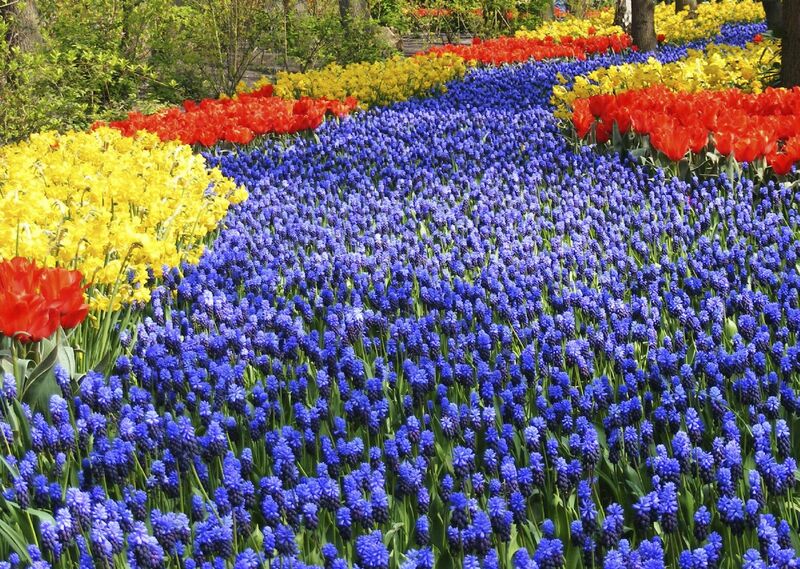 Visiting the colourful Keukenhof flower gardens which boast around 6 million tulips, hyacinths, daffodils. 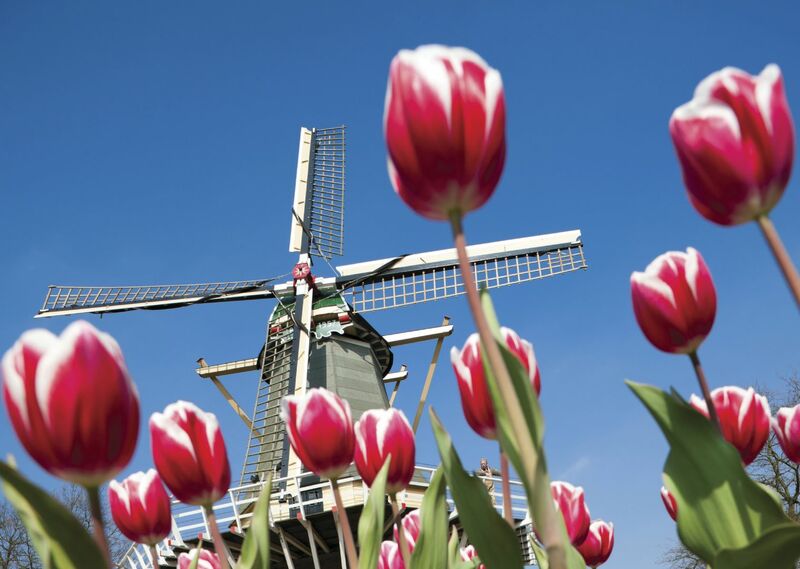 There is simply no better way to enjoy iconic Dutch tulips in the "Garden of Amsterdam" than on a 5 day bike and barge mini spring break. 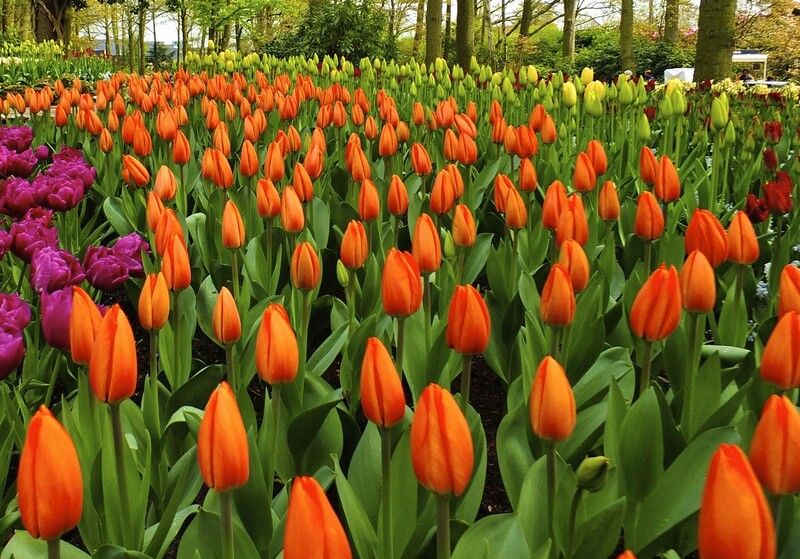 Spring in Holland is the most beautiful season, so why not enjoy it cycling and cruising to some unforgettably beautiful areas to see where Dutch tulips – and a wide range of other flowers - are grown, before being shipped around the world? 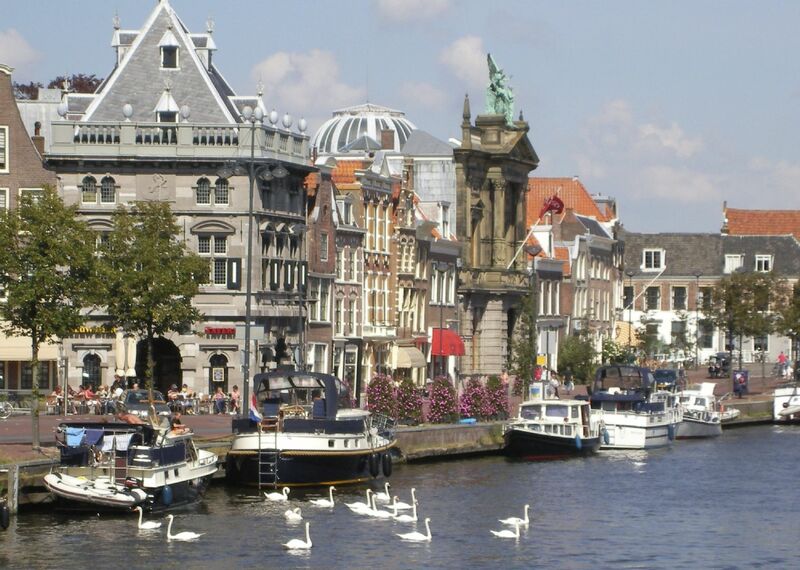 Enjoy some memorable days on board your comfortable barge, with excellent service and a gentle itinerary. 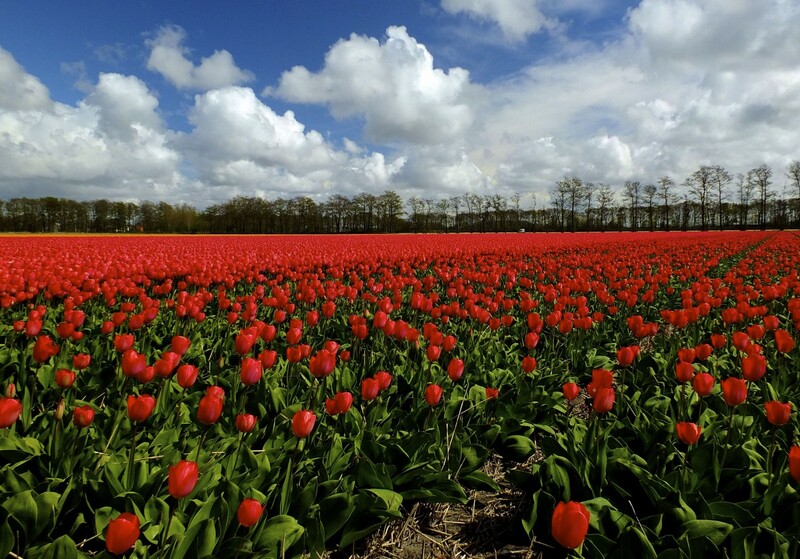 The bike and barge Tulip Tour of Holland starts in the fascinating city of Amsterdam, called, by some, the smallest metropolis of Europe. 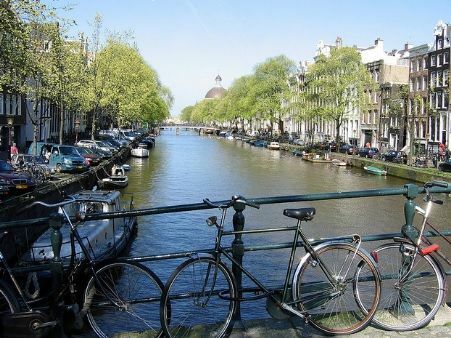 Highlights of the city include the UNESCO heritage-listed canal system, its quirky ‘leaning’ buildings, Anne Frank’s home, the Rembrandt House Museum, the Royal Palace of Amsterdam and Dam Square. 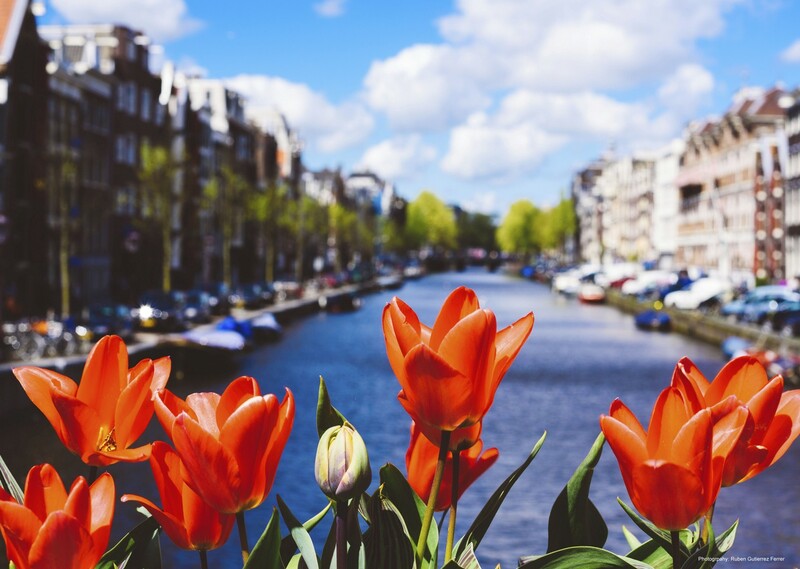 During the tour you can visit the famous Bloemenmarkt, the world's only floating flower market in the centre of Amsterdam. 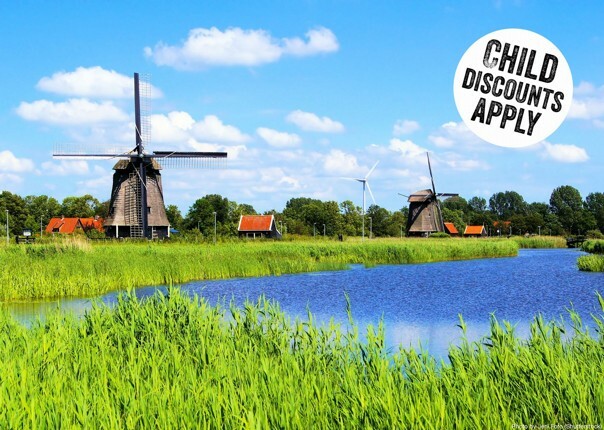 You'll also discover the open air museum ‘Zaanse Schans’ with its beautiful windmills, traditional wooden houses, an old Dutch village, a cheese farm and a traditional wooden clog maker and enjoy guided bicycle tours and some city walks. 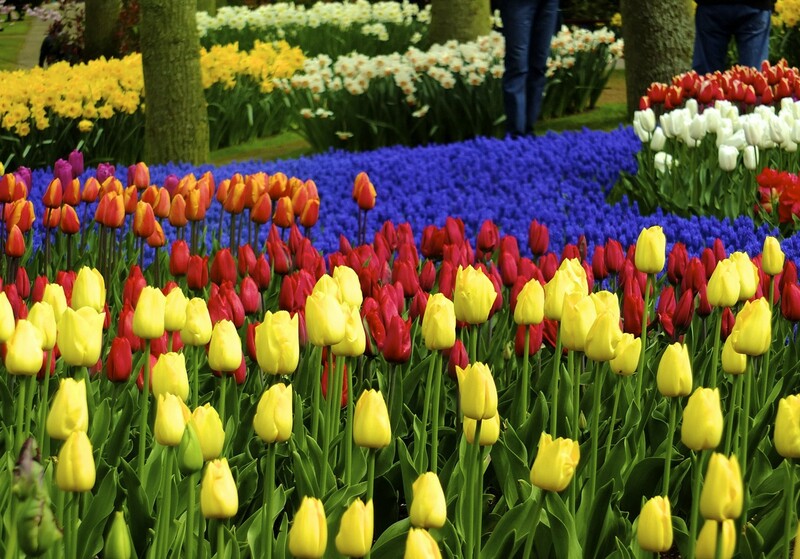 Other highlights include the historic city of Haarlem, the world famous Keukenhof flower park near Lisse and the largest flower auction in the world at Aalsmeer. 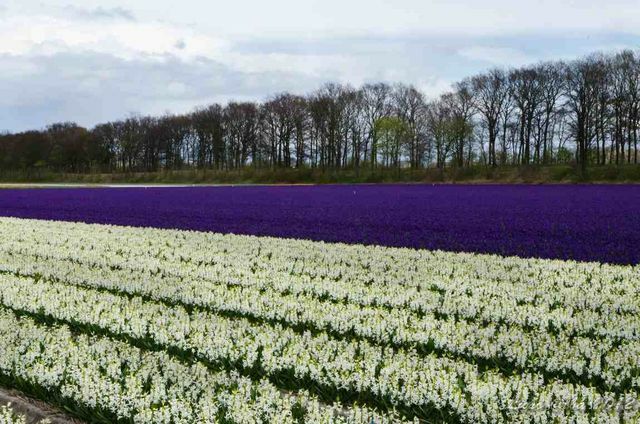 (The flower auction is not open on the weekends and holidays; if your trip departs on 27 March, 28 March or 19 April a visit will not be possible). Wow. 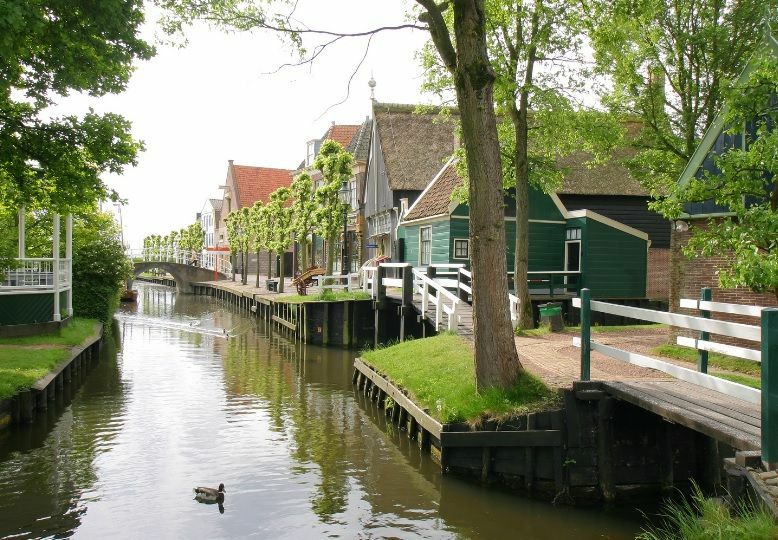 What a country Holland is for cycling. The excellent route numbering and the very good maps we were given made it all very easy. Distances were clearly marked and they really did add to the enjoyment of the trip. And we couldn’t fault the pre-trip information, the helpful staff on the telephone and the accurate description of what to expect. Saddle Skedaddle gave us some tips too prepare us for the cycling! It was very well organised, the leaders were great and the comfort of the barge was lovely and the food was superb. This was our first time on this type of holiday, but I loved the concept of the boat and bike rides. It was all we could hope for. Saddle Skedaddle were very good at responding quickly to my early enquiries and responded positively in every instance. Generally, it was all better than I had expected! 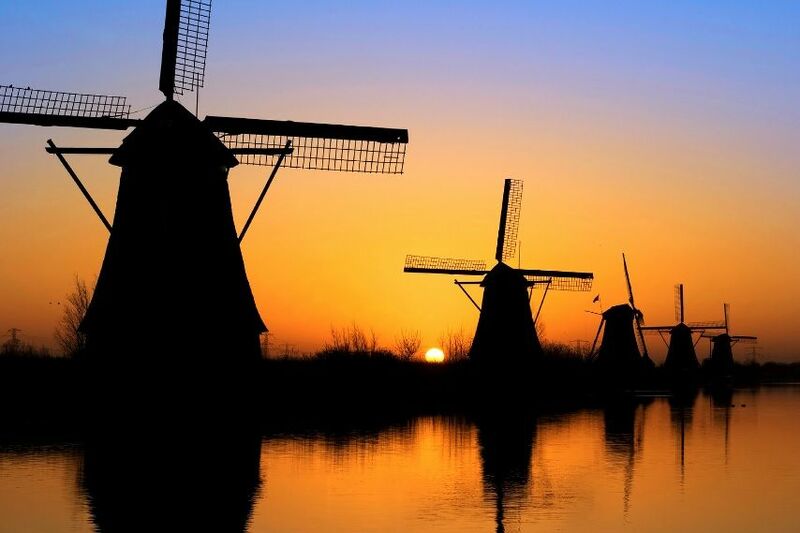 I liked the international mix of passengers with the Dutch company and there are so many people we met who we want to keep in touch with. Amazingly comfortable & stylish accommodation. Very comfortable bed, surprisingly spacious cabin & lovely en suite. Attractive dining/bar/seating areas. Great lounging areas on decks. 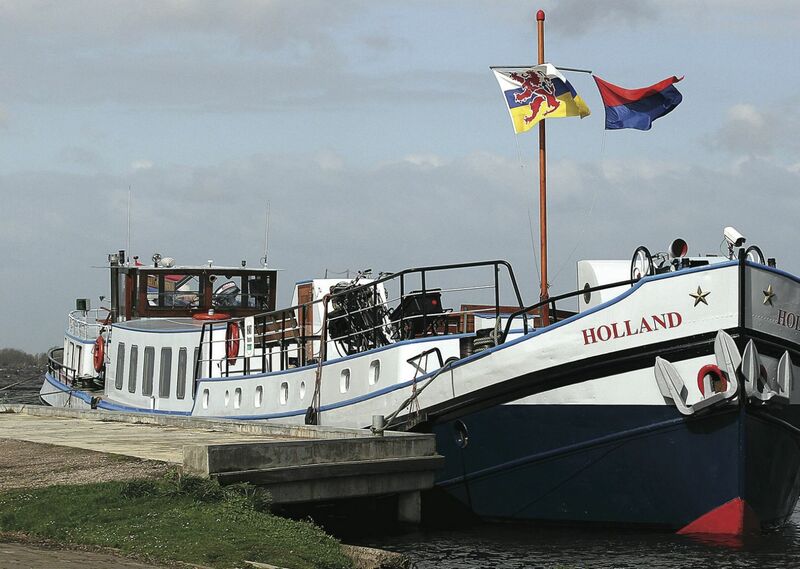 The staff on the barge were all amazingly friendly, helpful, hard working and professional. 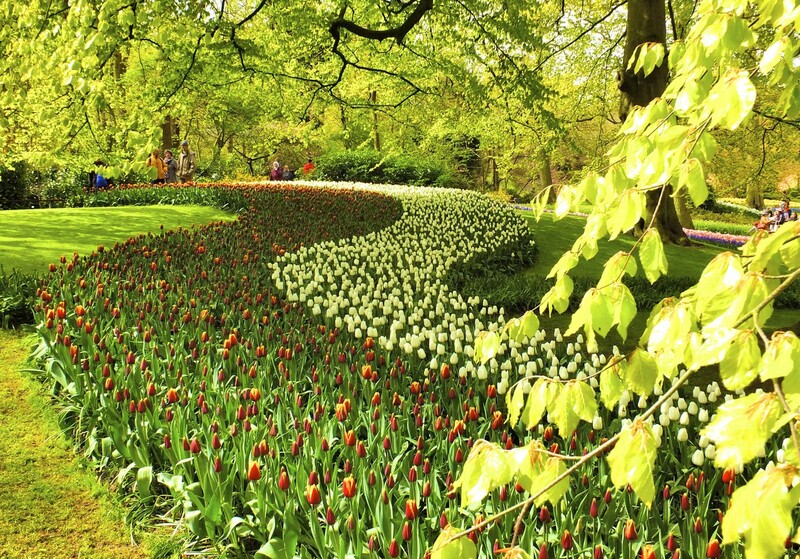 The visit to Keukenhof was my favourite part – seeing the tulips and daffodils in the fields and gardens was beautiful. Wow! 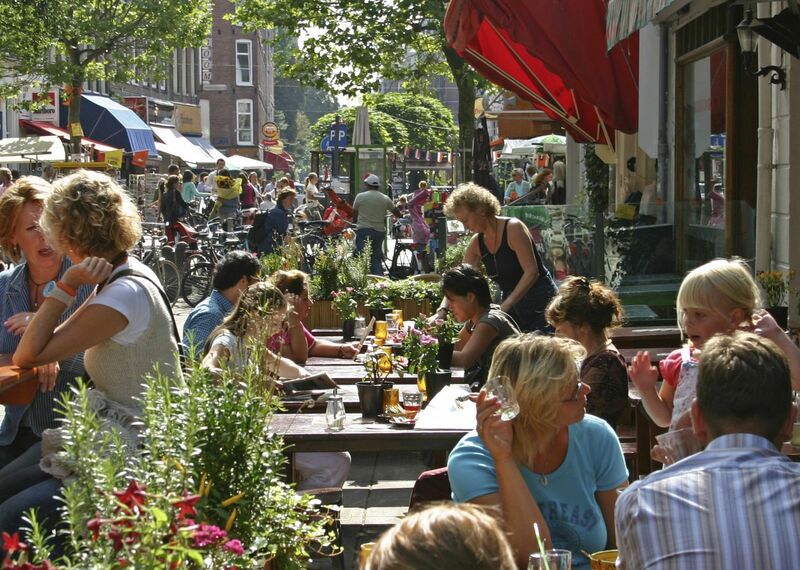 what a country Holland is for cycling. The excellent route numbering and the very good maps we were given made it all very easy. I couldn’t fault the pre-trip information, the helpful staff on the telephone and the accurate description of what to expect. Delivered what it said on the tin! Perfect group size, splendid crew and well looked after. As a 73 year old, I was apprehensive that I would be able to keep up, but I was fine and the Guide, Henke was especially considerate. 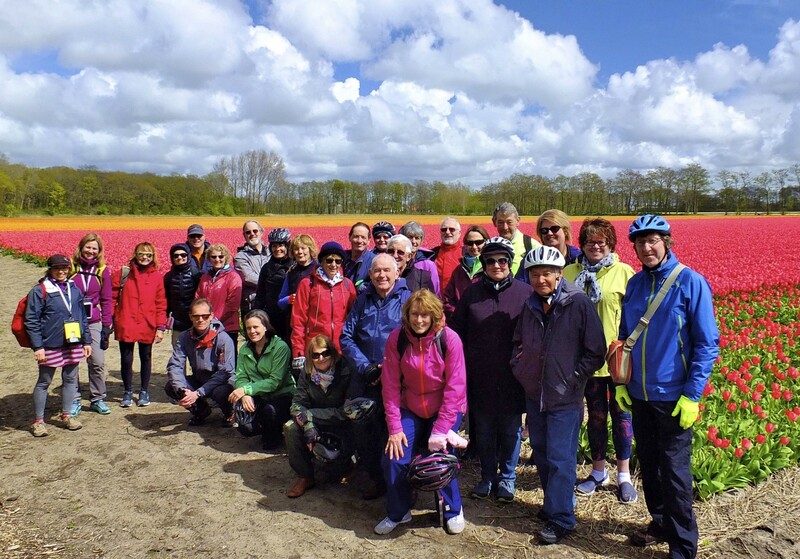 The itinary was fantastic and visiting the various places of interest meant that we were not cycling all day, but enjoying regular stops. What a charming and knowledgeable Tour Leader we were lucky enough to have. The fact that he spoke such perfect English was a bonus for me. He had a wonderful sense of humour and was most kind and thoughtful. 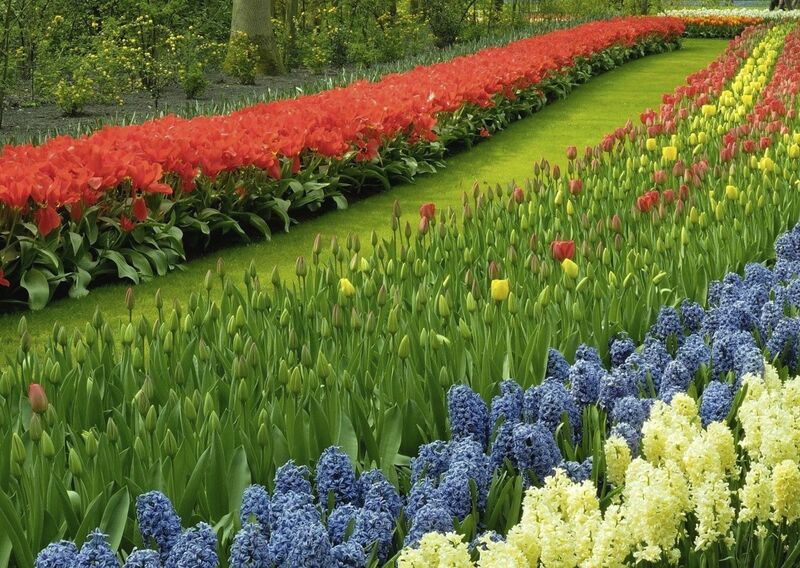 All days were excellent, lots of local interest, lovely towns Harlem and Leiden, amaising flowers at the Keukenhof and excellent stops for coffee and cakes and a visit to the Aalsmeer flower auction was mind boggling. It was a very well organised trip, the leaders were great,the comfort of the barge was lovely and the food was superb! Thanks for the tips to prepare us for the cycling. 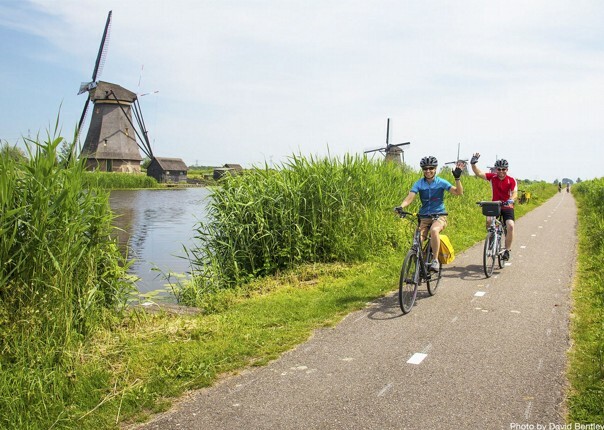 We are so glad we cycled regularly before we left, which meant we were able to cope with longer distances than we‘re used to. I really enjoyed this holiday. A lot of different interesting things were packed into a short time. 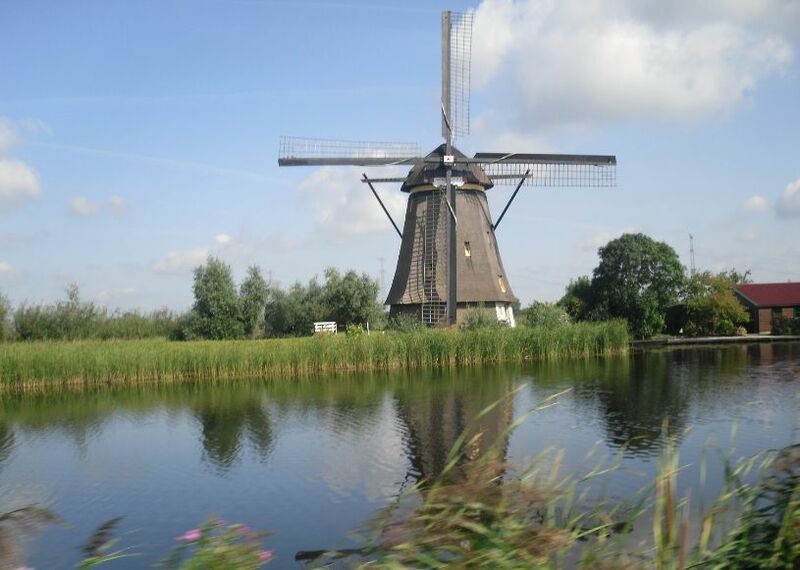 Cycling in Holland is good as the scenery is attractive and it’s flat! Guide and boat crew good. Nice group of people who got on well. 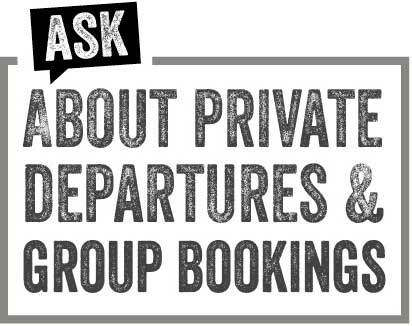 Contact throughout the booking process was good. It was a good idea to warn me by email that the travel details were coming by post. I liked being contacted by phone just before the holiday to check I was OK. Excellent food provided on this trip. 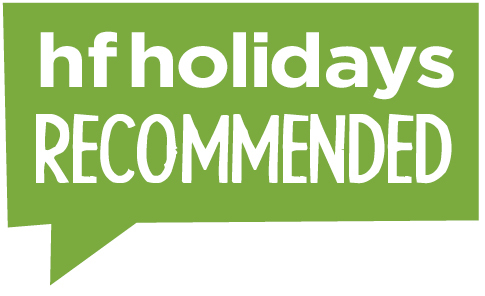 Pre holiday information was great, with lots of emails providing information. Fabulous holiday in every way. 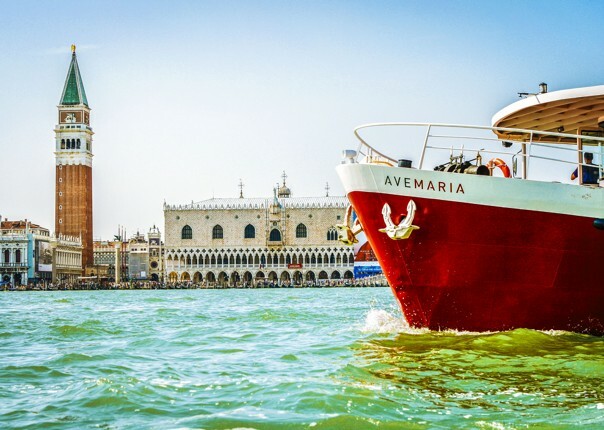 Fred was a great leader, the weather was perfect, the boat, (Jelmar) was wonderful, our captain was friendly and helpful, and the itinerary was brilliant. Very well fitted boat with excellent saloon. Our cabin, though snug, was perfectly fine, with good en-suite facilities, heating and a plentiful supply of hot water. Fred was a brilliant leader who was always concerned that we enjoyed each day to the full. He prepared us well the night before each ride, and ensured that the pace suited everyone. His knowledge and enthusiasm greatly enhanced the whole trip. He was extremely dedicated throughout. 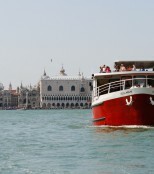 The whole itinerary was super, all the excursions were most interesting and varied. We enjoyed the whole experience and would happily do it all again.